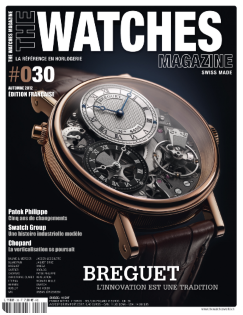 The Watches Magazine is an absolutely indispensable “must read” Swiss-made magazine that is published four times a year. Contrived for enthusiasts of exquisite mechanical wonders as well as for watchmaking professionals, it stands out from the crowd through its creative quality, its highly original presentation and its premium articles. Every quarter, the editorial team invites its readers to delve into the world of watchmaking, to discover the major economic challenges, to explore state-of-the-art technical innovations and a selection of some of the most remarkable new products, to learn about key industry players through exclusive portraits and to journey into the ever-so-rich history of some of the brands. 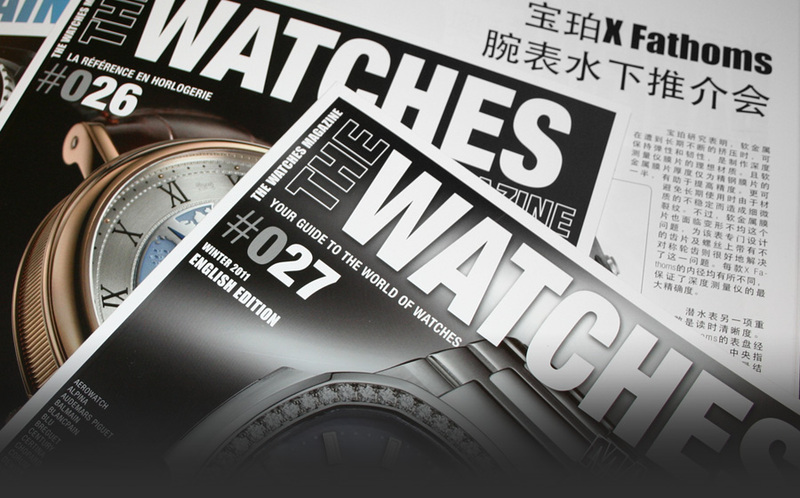 The Watches Magazine is issued in 6 languages: French, English, German, Chinese (simplified Mandarin), Spanish and Italian. And is distributed in 28 countries: Switzerland, France, Germany, Italy, Spain, United Kingdom, USA, Abu Dhabi, Andorra, Australia, Austria, Belgium, Brazil, Canada, China, Dubai, Greece, Hong Kong, Kuwait, Morocco, Poland, Portugal, Russia, Singapore, Taiwan, Thailand, Turkey and the Ukraine.